Can you do SEO on your own? What does it take to learn SEO and optimize your website for search engines without needing any assistance? How do you know what works so that you don’t waste your time in tasks that are not important for rankings? 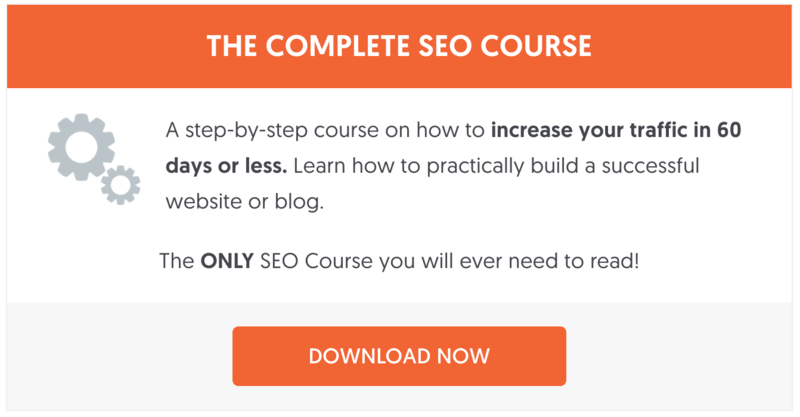 This comprehensive SEO tutorial will give you all the answers. I know from experience that a lot of beginners to Search Engine Optimization find it difficult to understand the basic SEO concepts. There are so many terms, rules and practices to learn and implement and if you haven’t done this before, it’s a nightmare. Open up Google and search for ‘SEO tutorials’ or ‘DIY SEO’, what do you see? Probably a number of guides each of them taking a different approach to what is SEO and how it works, and this makes things even more complicated. What can you expect from this SEO Tutorial? I’ve been doing SEO for more than 14 years now and I’ve learned through a lot of studying, trial and error how to get a website to the top positions in the Google SERPS. I have done this for my websites and many client websites over and over again. It’s not an easy job, it’s a lot of work but it’s also rewarding. I wrote this tutorial to help you get into the right mindset and understand how to approach SEO correctly. It starts from the beginning and takes you step-by-step through the most important aspects of SEO. After you are done reading this guide, you will have a deep understanding on how to optimize your website for Google and the other big search engines. So, if you are new to SEO and don’t know from where to start or where to spend your time and energy, get a cup of coffee, take a deep breath and get ready to teach yourself SEO! Obviously the first thing you need to understand is what exactly is SEO and why all the fuss about it. Search Engine Optimization (SEO) is a framework you can follow in order to make your website more visible to search engines. Like other frameworks, it has a set of rules, processes and guidelines. First is to make a website friendlier to search engine crawlers so that they can read, understand and add the website to their index. Second, to make a website friendlier to the user. This is one area of SEO that is often overlooked, a website that is SEO optimized should also be user friendly and vice versa. That’s the basic definition of SEO, which is clear and straightforward. Now consider this: what happens if all websites are properly optimized and according to best SEO standards? How do search engines decide which one to show first, second, third etc. in their search results? This is where the fun part begins. For any search term you can think off, there are hundreds of websites competing for a top place in the results. Those websites that are build on a solid SEO foundation win the race. 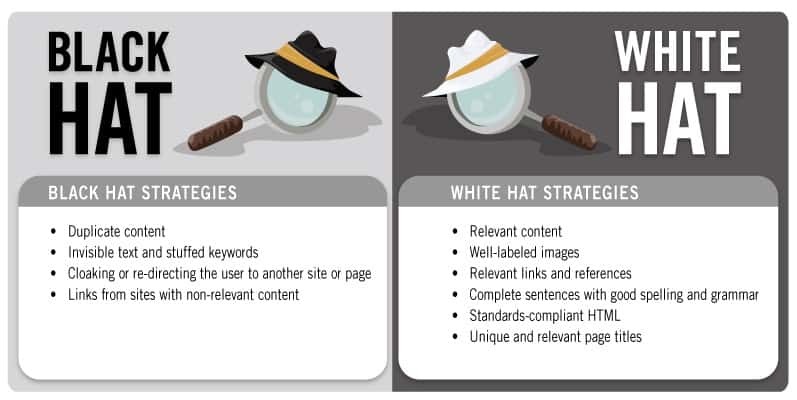 Black hat VS White hat SEO: Which way to go? A solid SEO foundation is based on what is known in the industry as ‘white hat SEO’. White hat SEO is a term used to describe the process of optimizing your website without violating any rules. To be more precise, Google has a set of guidelines of what you can do and what you shouldn’t do in order to make your website Google friendly. If you violate any of those guidelines either intentionally or even because you didn’t know about them, you risk in getting a ‘Google penalty’ and this means your website will either be removed from Google or your rankings will dramatically drop. Black hat SEO on the other hand, is a term used to describe actions that are not according to acceptable standards and practices. The purpose of black hat SEO is to manipulate search engine algorithms using various techniques that can trick search engines into ranking a page high in the results using false signals. White hat SEO is the only way to go. Search engines have very intelligent algorithms, spam detection techniques and sooner or later, they can track and penalize any websites that are using black hat techniques to achieve higher rankings. Don’t believe everything you read on the Internet and especially those guides or tutorials that promise you results in a short amount of time. SEO takes time to generate good results and after you do a lot of work. If you are looking for a fast way to get traffic to your website, get into AdWords, Facebook ads or other paid methods but if you want to build a solid business online, then SEO can guarantee your long term success. SEO is important for many reasons but the primary reason is that it can give you higher rankings which means more search engine traffic. According to statistics given by Google (May 2016), there are over 4 million searches per second on Google. Take a moment and think what this number means and how it can change your business if you manage to get your tiny share of traffic from the billions of monthly searches. Now that you have a clear idea of what is SEO and why it is of great importance for your online success, let’s see in more details how SEO works. Since Google is the biggest and most valuable search engine, I will use it in the examples below. Anything that you do to optimize your website for Google is also applicable for the other big search engines. Google has a very nice tutorial on how they approach search and a must see video (watch below) by Matt Cutts (former head of Google’s Search Quality Team). Of course they don’t reveal all the details of the algorithm but you can get a very good idea of how the process works, and this will help you understand the contents of this guide better. In simple words, Google crawlers search the web to find webpages and add them to their index. When a user types in a search query in Google, their algorithms try to find the best possible match and present those pages in the search results. If there were only a few pages available per search query, then that would not be an issue, Google would show those in the first 10 positions. But, as mentioned above, there are thousands of pages about a particular topic so their algorithm has to decide which is the best match and show those to the user. There are many factors taken into account by the algorithm, Brian Dean has created a list of the 200 Google ranking factors but some are much more important than others. Google wants to keep their users happy so that they return and perform more searches. A Google user is happy when they find what they want in the fastest possible way. Google is making a lot of effort to keep low quality pages out of their index and they adjust their rankings algorithms all the time for this purpose. Why does it matter to rank high in the search results? The majority of Google organic traffic is distributed among the websites that appear in the first page of Google. As you can see in the graph below, more than 73% of the clicks go to the first page, and the rest go to the second and third pages. Study showing CTR and ranking positions in Google SERPS. What is more interesting is that positions 1-5 of the first page get 67% of the clicks. So, if you want to get traffic from Google, you have to rank in one of the top positions or at least in the first page. How to approach the optimization process? On-Page SEO – What kind of content to publish on your website and how to structure / setup your webpages so that search engines can read and understand them. Technical SEO – How to make sure that search engines can access your website without any issues. Advanced On-Page SEO – Additional settings to apply to your website so that you get more attention and visibility from search engines. Off – Page SEO – Link Building and other techniques to promote your website on the Internet and get more exposure. The website optimization process starts with on-page SEO. Let’s see in more details what you need to know about on-page SEO. Choose a domain that is easy to remember and write. Avoid domains with too many words, one to two words is preferable. Avoid using hyphens or separators in the domain name. Try to avoid using a hyphen in your domain name. If you must use a hyphen to separate the words, don’t use more than one. Exact match domains no longer have an advantage. In the past, if you had an exact match domain i.e. ‘SEOTUTORIAL.COM’ you had an advantage compared to other webpages competing for the keyword ‘SEO tutorial’ but that’s no longer the case. Domain extension doesn’t matter. A website can rank well regardless of the domain extension. The most common extensions are .com, .net., .org but if you can’t find a matching name for your website you can safely choose any other extension. Self Hosted domains are better. It’s better if your domain is hosted on your own website rather than using a subdomain from any other platform. For example, is better to have ‘mydomain.com’ rather than ‘mydomain.wordpress.com or mydomain.medium.com’. Domain age does matter. Older domains have an advantage in SEO over newer domains. It is easier to rank a website that is 5 or 6 years old than a brand new website. Of course besides the age of the domain, you have to take into account all the factors discussed in this tutorial, but other things being equal, the website that is ‘older’ will rank better than the newer website. What if I already have a domain and want to change it? If you already have a domain, content and website with traffic, it is possible to do a rebranding and change your domain without losing your rankings and traffic but you have to follow the migration procedure correctly. Should you buy an old domain? You can buy an old domain and gain advantage of the ‘age of the domain’ but you have to be careful not to buy a domain that was previously penalized by Google. Can I merge one or more domains to make them stronger? Yes, you can. If the domains are related and ‘clean’ from Google penalties, you can safely merge them together and create a ‘stronger’ website. Read this nice case study from Matthew Barby, on how to merge two websites together and make your SEO stronger. Website Platform: Which is the best platform for SEO? After you select a good domain for your website, the next step is to choose a platform i.e. the software to use to develop your website and a server (hosting provider) to host it. This is not an area to spend too much time or effort, once you make a good selection from the beginning then you don’t have to worry about it and you can concentrate on other more important tasks. While there are many options available, the best website platform in terms of SEO is WordPress. 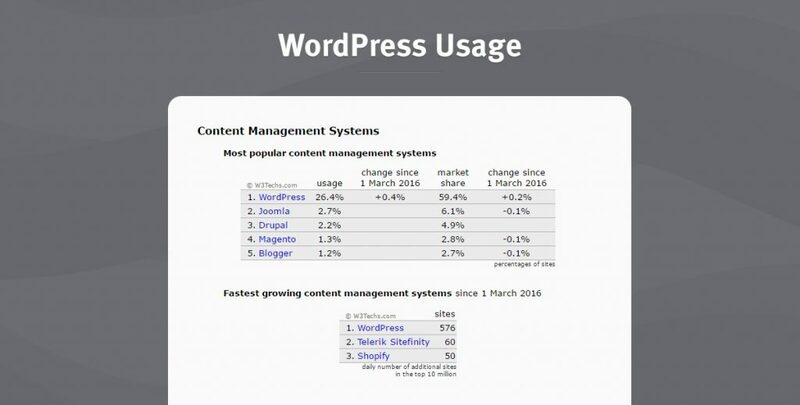 WordPress now powers more than 59% of all available websites on the Internet and has a number of features that can help you build an SEO Friendly website. It is easy to use and with a few tweaks, you can make it even better. You can read my best SEO practices for WordPress article and also my SEO eBook for more details and step-by-step guides. In terms of hosting, not all providers are equal when it comes to SEO awareness, the wrong choice of hosting provider can negatively impact your SEO efforts. Make sure that you choose an SEO friendly hosting such as bluehost or knownhost. The structure of your website is very important. A good and simple site structure will make the job of search engines and users easier and this has many benefits for SEO and usability. 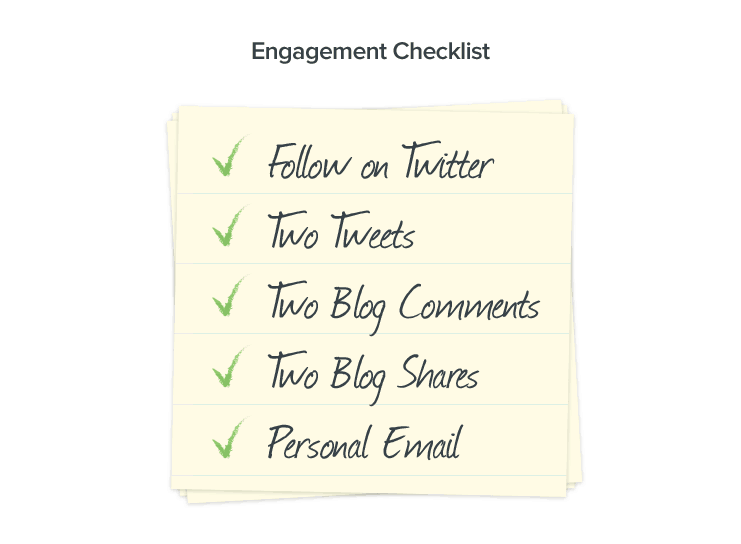 Group your content into logical categories that make sense. Everything starts with the home page but after that you should think of a logical structure for the rest of your content. Don’t over engineer but keep it as simple as possible. Avoid having too many categories or subcategories since SEO wise, these don’t offer much value because of duplicate content issues (we will talk about this later). 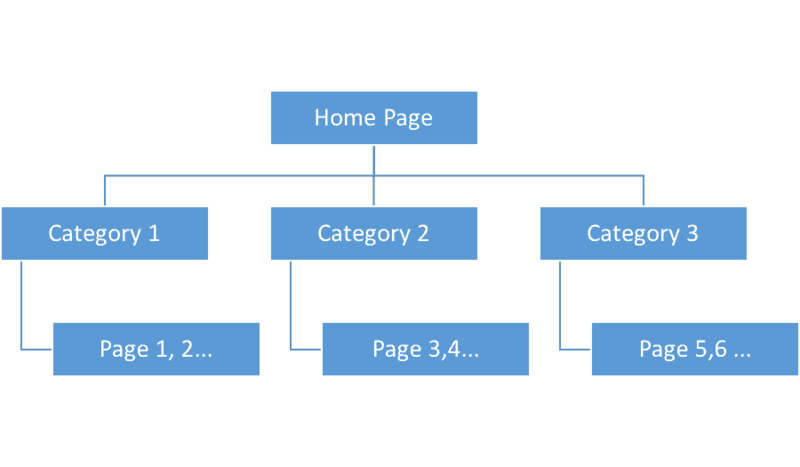 Don’t use more than two levels when creating your site hierarchy. Don’t hide your content from search engines and users but make discovery easy. Make sure that your category names are meaningful. When creating your categories give them names that are meaningful and related to your products and services. Use SEO Friendly URLS. Your URLs can contain “-” but not underscores or any other unnecessary information. Keep them clean and easy to understand. Maybe you have read this many times in the past, but it is still true. Content is the most important aspect of any website. Your content needs to be of high quality and also provide answers / solutions to the user intent and keep the search engine user happy. If this is not the case then whatever techniques you use (either white hat or black hat) to rank a page high in Google, sooner or later they will all fail. SEO Friendly content is content that provides value to the user by answering a question or providing insights about a certain topic and at the same time can be understood by search engines. To be able to create SEO friendly content, you first need to have clear in your mind what is the meaning of keywords and what is their role in the SEO process. A keyword is anything that users can type in the search box, that has a significant value. A keyword may consist of one or more words. Keywords are used by search engines to understand the user’s intent and satisfy their search request in the best possible way. Notice that some of the keywords are very broad (Marketing) and some consist of 2 or more words, known as long-tail keywords (best Chinese restaurant Florida). 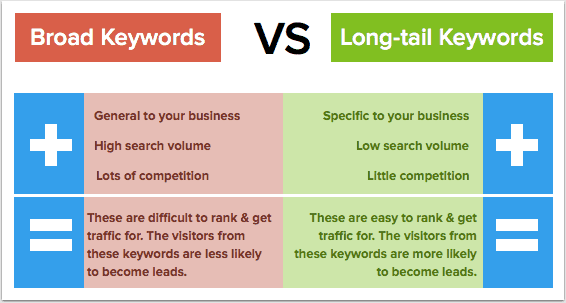 The comparison table below from hubspot, shows the difference between broad and long tail keywords. What is the role of keywords in SEO? Everything online starts with a keyword, whether it is website content, user search query or AdWords Ads. Search engines during their indexing process are trying to match keywords with web pages that can potentially be used as ‘results’ for those keywords. Your job as an SEO is to make sure that your web page content includes those keywords (or variations) so as to help search engines index your pages correctly. Does this mean that if you have a page full of keywords, you will get higher rankings? Not at all. Keyword stuffing or content that exists for the sole purpose of keeping search engines happy, cannot achieve high rankings. What you need for high rankings is high quality SEO Friendly content. Notice how much value they give to usefulness, credibility and engagement of the content and start thinking how to create content that matches these characteristics but at the same time includes keywords people may use in the search process. In addition to the above, how you present your content matters. It’s not enough to have good content that is SEO friendly but you need to take other factors into account. Rand Fishkin summarizes the 10 criteria of high quality content. The last piece of the puzzle before we get into how to actually optimize your website, is keyword research. Keyword research is a process that can help you find out what users search in Google so that you get a good indication of what type of content to create to satisfy their intent. It is important to do a keyword research before publishing any content otherwise if you create content that nobody wants to read, you are just losing your time. There are many tools and techniques to use for keyword research and this is something that I cover in details in this post. I strongly suggest to take a break from this tutorial and read that post before you continue with on-page SEO. 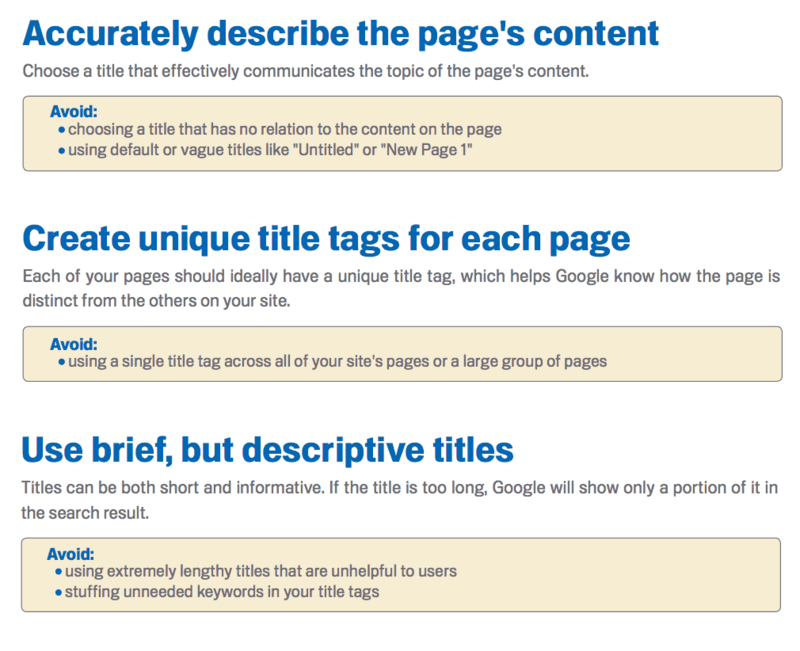 A page title (<title>) is the first element that both users and search engines ‘see’ when reading or crawling a page. Page titles are shown in the search results so they should be attractive and help users understand if the page is relevant to their search so that they can click to visit the page. Page titles should be brief. In terms of length it is suggested to go up to 56 characters so that they can fit in the Google search results. How to SEO Optimize your page titles? While the above best practices are all related with SEO, there is one more step to take to further optimize your page titles and this has to do with the use of keywords. Keywords in the page title are important for both users and search engines. Users can easily spot the keywords in the title (sometimes they are even made bold by search engines) and this encourages them to click the link and visit the page. Search engines ‘read’ the title and try to figure out if this is a page that can potentially satisfy the ‘intent of the user’. If this is the case, then they continue to examine the page content and other factors before they return the results to the user. What you should do to win both users and bots is to ensure that your page titles include the keywords you are targeting. For example, if you are writing a post targeting the keyword ‘SEO Tutorial’, then your page title should include this keyword, hence the title of this post. As an additional note, there is no need to add your website name in the title, this is added automatically by Google (if it does not exist). If you feel that you need to have your website name as part of the title, then move it at the end and not the beginning. In the first parts of the title include the important elements (i.e. keywords). Have a look below at how Google SEO’s optimized the title of Google AdSense. Notice how they blend keywords (make money online) in the page title. The page description (<meta name=”description” content=“your description goes here”), is equally important. All of your website pages (including the home page), should have a unique description that accurately summarizes the page’s actual content. Avoid using generic descriptions or terms like ‘This page is about…’ but concentrate as to why someone should visit your page. Include keywords in the description but don’t do keyword stuffing. Keep your descriptions up-to 160 characters. Pro Tip: Unlike the page titles, descriptions are something you can safely change after a page is indexed. What you can do is check the description displayed by Google for several terms related to your page and make any changes to the text to make it more appealing to the user. While doing this, you can also ‘spy’ on your competitor’s descriptions and see what kind of message they try to pass to their users. As a side note, have in mind that Google may decide not to show your description in their results but they may show text from the page if they believe that this is a better match to the user’s query. The description from the Google AdSense page (see image above), is a great example of how you can merge keywords and page summary together. Besides the titles and descriptions that are seen by bots and shown in the search results, other factors that directly impact SEO are heading tags and page formatting. As a general rule, headings should be used to guide users on the important sections of a page and thus make a page easier to read and user friendlier. On the other hand, headings can also help search engines understand the content of a page. When reading the HTML of a page they can identify tags like H1 and H2 and use the text within those tags to figure out the meaning of the page’s content. Headings should include keywords and have a hierarchical structure. For example, the first heading in the page should be the H1 tag (this is usually used for the page title) and the subsequent headings can be H2 or H3. As an example look at the headings of this article. It’s a long post so I have used H1 for the post title, H2 for the main sections and H3 for the subsections. Look at the table of contents again (on the top of the article) and noticed how I used keywords in the both the headings and subheadings. One of the ranking signals that is not kept a secret by Google is website speed. Websites that load fast have a competitive advantage over websites that are not so fast. This means that if everything else is the same, Google will rank higher websites that are faster than slower. So, even if page speed is a comparative signal and not a direct signal, there are many business benefits from having a fast loading website. Numerous statistics show that users are not willing to wait for a website to load for more than 3-5 seconds (especially on mobile) and there is also a direct coloration between website speed and conversions. To cut a long story short, part of your optimization process should be to improve the loading speed of your website as much as possible. It’s a technical topic and you might need the help of a developer to do the necessary changes but consider this as an investment you have to do. Last but not least, your basic on-page SEO checks should also include how good or bad your website performs on mobile. 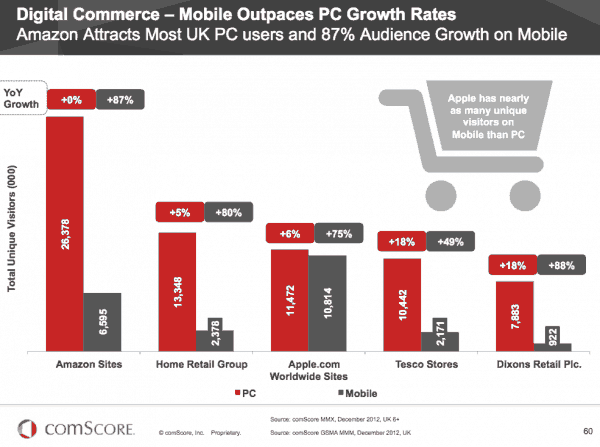 As you can see in the graph below, mobile usage is on the rise and sometimes it is more than desktop. Google also confirmed that mobile searches are now more than desktop and this simply means that if you are not mobile, you cannot reach the 50% of your potential users. It can be viewed on a mobile device with out having to zoom-in and without having to use horizontal scroll bars to access the content. It allows the users to perform the same actions like desktop but using their mobile devices. To ensure that their mobile users are happy, Google introduced a mobile friendly algorithm change on April 2015 (also known as mobilegeddon), that excludes from their mobile index websites that are not mobile friendly. So far with on-page SEO we have dealt with things like domain name, website platform, website structure and page optimization. Next in the list is what is known as ‘technical SEO’. Technical SEO has one purpose, to make sure that search engines can discover the important webpages of a website and be able to access them without any issues. Google recommends that you provide users with a simple sitemap page that will contain links to all the important pages of your website (or to all pages if it’s possible). You can add this to your main menu or footer. Besides helping with user navigation a sitemap page is also used by Google during the crawl process to discover more pages from your website. Another better way to inform search engines about your website pages and structure is to create an XML sitemap and submit it to Google and Bing. An optimized XML sitemap should list all pages that search engines should know about and not pages that have duplicate content or provide no value to their users. In many cases tag pages and archive pages belong to this category. One of the ways to check what search engines know about your website is through webmaster tools. Both Google and Bing have made these tools available to their users and they are free to use. You can access Google webmaster tools (recently renamed to Google Search Console) here and Bing webmaster tools here. If you haven’t done this already, the first step is to create an account and submit your XML sitemap. Webmaster tools can give you a lot of valuable information regarding your website. You can see your ranking position for different keywords, how many links point to your website, how many pages you have in the index, if there are any errors during the crawl process and many more. How to use Google and Bing webmaster tools. How to use Google webmaster tools to improve your SEO. An introduction to WordPress SEO for Beginners. Robots.txt is a file that exist on the root directory of every website and can be used to give instructions to search engines on which directories / files of the website they can crawl and include in their index. Normally you will need to deal with robots.txt once and if everything is ok you don’t have to change it again. To make things easier for you, there is a robots.txt tester function in Google Search Console which you can use to ensure that you don’t accidentally block search engines from accessing your website’s pages. 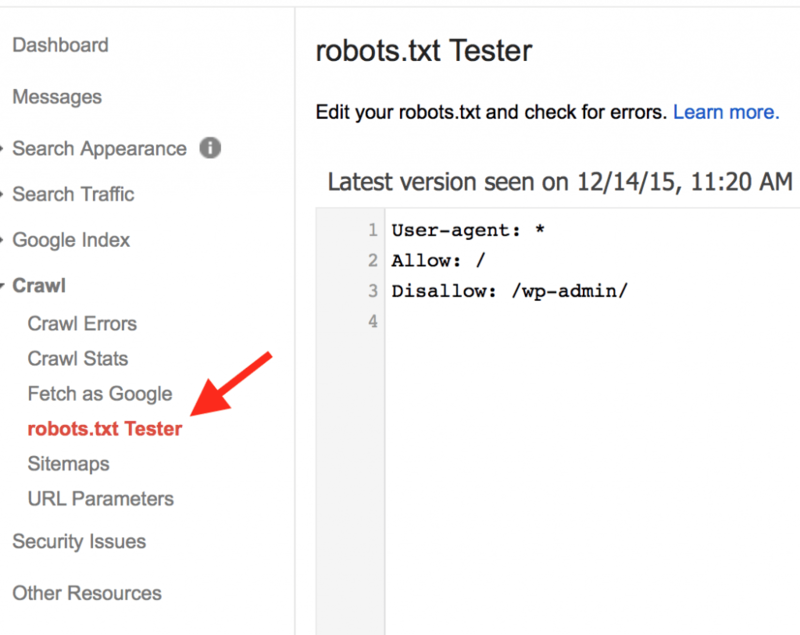 Login to Google search console and click robots.txt tester under Crawl. What is a 404 page? The page shown to the users if they click a link on your website that leads to a non-existent page. What is the importance of a 404 page for SEO? Remember that SEO is about usability and giving users a dead end is not the best approach. Your 404 page needs to be useful and provide users with alternative ways to find what they are looking for. Basic on-page SEO and technical SEO will guarantee that your website is in good shape but that’s not the end of the optimization process. There are many more steps to take to improve your SEO and increase your search engine rankings. In this section of our SEO tutorial we will deal with internal linking, rich snippets and schemas, multi-lingual websites, paging and accelerated mobile pages (AMP). 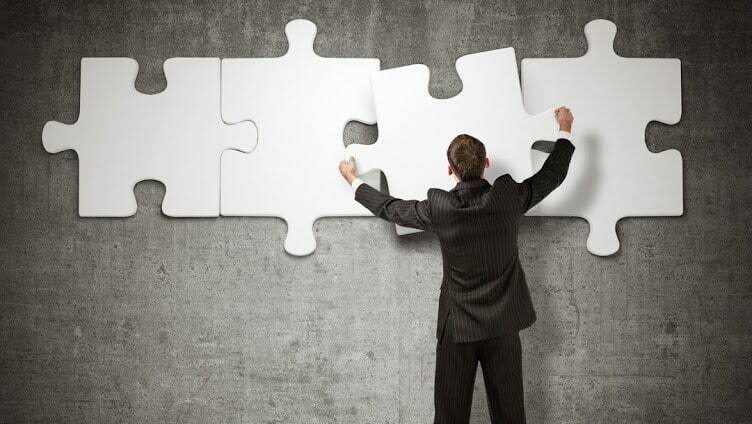 What is internal linking? Adding links to your pages that link to other pages of your website. It’s a pretty straightforward concept and many times this is categorized under ‘basic SEO’ but since many webmasters still fail to use good internal linking practices, I decided to add it to the ‘advanced SEO’ section. 1st they aid navigation since they point users to other pages of your website to read more details about a certain topic and 2nd they help search engines discover more pages from your website and also understand the context of your pages better. Add internal links where it matters and not for the sake of doing it. There is no limit in the number of internal links you should have per page but don’t overdo it. Longer posts are more likely to have more internal links that 300 word posts. For internal links to have some value, they need to be in the main body of the page. Links in the sidebar or footer are not so valuable (for on-page SEO purposes). Use optimized anchor text with your internal links. Unlike external links, internal links can include keywords in the anchor text, there is no penalty for doing so. Nevertheless, using a variation of both optimized and non-optimized links is always the best practice. Don’t add the ‘nofollow’ tag to your internal links. All internal links should be followed. For more examples and guidelines, read my internal linking best practices article as well as this article from Google’s Matt Cutts. One of the modern ways to give more visibility to your content and improve it’s google rankings, is by using rich snippets and schemas. What are schemas and why you should care? Structured data markup is a formal way to describe your content to search engines. One of the challenges search engines face when crawling a page is understanding the context of a page and schemas can help them a lot in this direction. As stated by Google, through structured data markup you make your content eligible to appear in rich results and knowledge graph cards. In real terms, this means eligibility to rank in position 0 of Google (above the normal search results) and this has a number of benefits. Structured data markup can be implemented by adding a set of tags to your html code or through a JSON script. For details on how to implement schemas for your website, read this article on SEO and schema markup and also how to rank content in Google’s featured snippet, which has more examples and case studies. To test your markup implementation, use the Google structured data testing tool. Don’t use automatic translators to translate your content into different languages. Your content has to be of high quality and this means readable, without grammar, structural or spelling mistakes. If you want to make your content available to other languages, then do it manually on a page by page basis. To avoid any issues with duplicate content you need to do some SEO configurations and in particular make use of hreflang meta attribute. The hreflang attribute is a way to tell Google that your content is available into more than one languages. Google will use this information and serve the right content to your users (depending on location and language). Hreflang implementation is an advanced topic and requires technical knowledge to apply the necessary settings to your website. The implementation of paging is simple, you just need to add the rel=”next” and rel=”prev” HTML elements to build up the relationship between the different pages. For more details, read this guide from Google and this guide from MOZ. In the first part of this SEO Tutorial, I have discussed the importance of having a mobile friendly website and accelerated mobile pages is a new way to present information to mobile users. 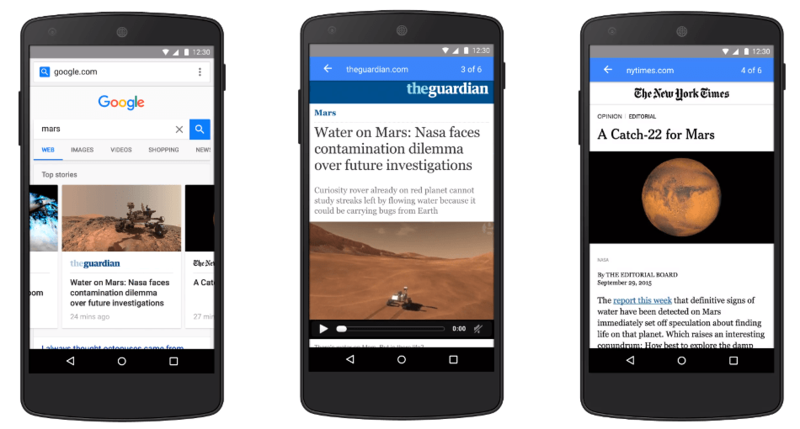 In an effort to make the mobile web faster, Google has introduced a new form of HTML, called AMP HTML. AMP HTML is similar to HTML but it has new controls that load faster when viewed from a mobile browser. Google is using AMP articles in the search results for ‘News’ related terms but soon AMP will be used for other types of results. Ebay already migrated their content to AMP and other big websites will soon follow. The AMP format is also used by Twitter and other big publishers (Facebook created a technology similar to AMP called Facebook Instant Articles). Even if you are not a news publisher, you should start preparing for AMP adoption. If you don’t have the technical knowledge to handle HTML you will need help from a developer or external plugin (if you are on WordPress). 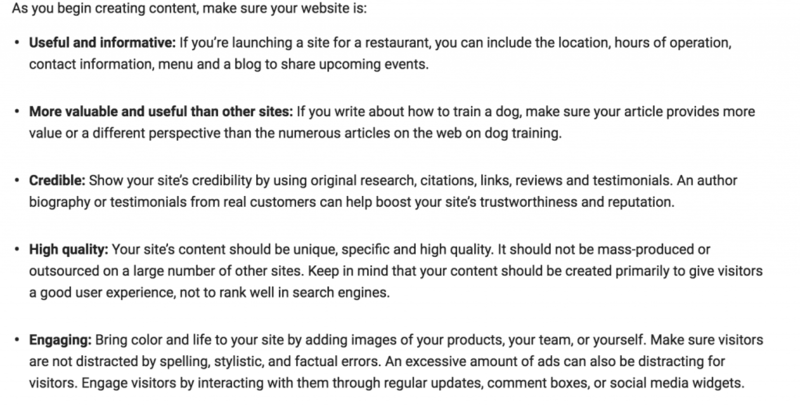 I will soon publish 2 detailed guides on how to make your website both AMP and FIA friendly and will update this section of the tutorial with the links. In the meantime you can read these two guides from Shoutmeloud and NeilPatel. No SEO strategy is complete without off-page SEO. Beginners to search engine optimization should understand that a complete SEO campaign has two main pillars: on-page SEO and off-page SEO. On-page SEO has to do with all the settings / configurations / changes you can make within your website to make it SEO friendly (as discussed in detail in this tutorial), while off-page SEO is about promotion and how you can get more exposure and attention to your website. To understand the importance of off-page SEO, consider the example mentioned above where a number of websites are targeting the same keywords and all of them have got on-page SEO right, which ones will get higher rankings? The answer is simple, the websites that have done a better job in off-page SEO will get higher rankings and traffic. Off page SEO has to do with methods and techniques you can use to convince search engines that your website is better for their users than the other websites. In the SEO world, this is translated into incoming links, hence the term ‘link building’ has been associated with SEO. Google founders when they wrote the first Google algorithm, they had to decide how to rank pages in the Google search results. Besides taking into account all the factors discussed above, they also came up with a brilliant idea: the websites that are referenced (linked to) by other websites are more likely to be more important and useful to users so they deserve a higher ranking. That’s an oversimplified version of the initial Google algorithm but the main idea holds until today. 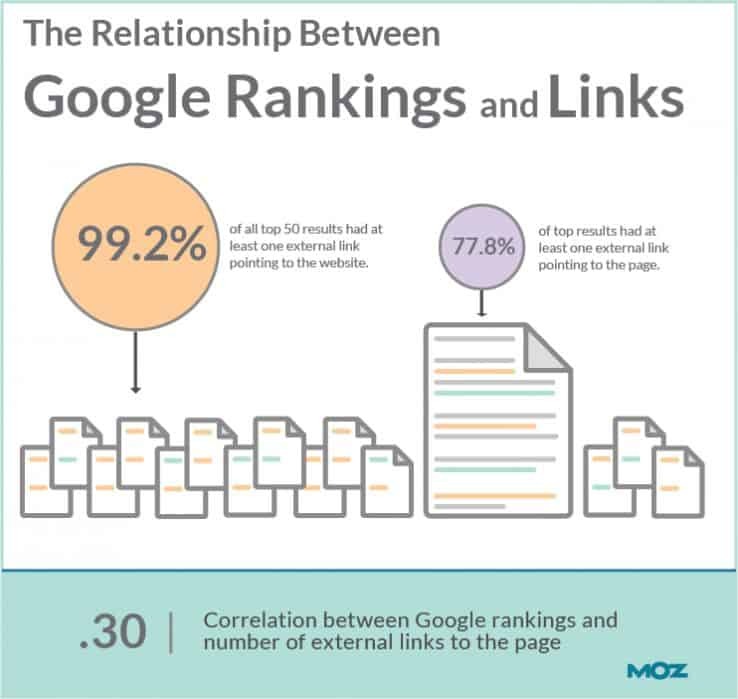 Websites that have incoming links from other websites are more likely to rank higher and get more traffic from Google compared to websites that don’t have any links pointing to them. Over the years’ webmasters and SEO’s tried to manipulate this rule by building links for the sole purpose of making the Google algorithm happy (black hat SEO) and this let into many spam or low quality sites to reach the first positions of Google. This in turn forced Google to add more rules to their algorithm to take into account more quality factors when assessing the quality of a link. It is a natural link – This means that the link is naturally added by a webmaster because they believe that linking to your website will add value to their content and help their users read more details about a certain topic. Its coming from a related website – If you have a website about SEO, its natural to have links from websites that deal with digital marketing, social media etc. but it’s not natural to have links pointing from fashion type blogs or other unrelated topics. It’s coming from a website trusted by Google – Not all websites are equal in the eyes of Google. Google loves high quality websites and a link from such a website is welcomed. It’s not part of an exchange or paid scheme – Links that are paid for or exchanged (you link to my website and I link to yours) can get you into trouble (see below). It’s not coming from a low quality website – In general, websites that have little or no original content and are full of external links with no incoming links, do not offer any value to the user, are considered by search engines as low quality websites. What is a ‘bad link’ and why it should be avoided? A ‘bad link’ does not have the characteristics of a good link. Usually bad links are either paid for or injected into low quality articles for the sole purposing of tricking search engine algorithms. It may be a surprise to beginners but there are a number of websites out there that exists for the sole purpose of publishing low quality content with outgoing links. What is the problem with that? A lot of bad links pointing to a website can lead to Google penalties and in simple words this means loss of rankings, traffic and Google trust. In order to protect the integrity and maintain the quality of their search results, Google has introduced 2 types of penalties, manual and algorithmic. A manual penalty occurs when the Google Search Quality Team imposes a penalty on a website because it violated Google’s webmaster guidelines. When a website is under a penalty, it loses all (or part) of its rankings. 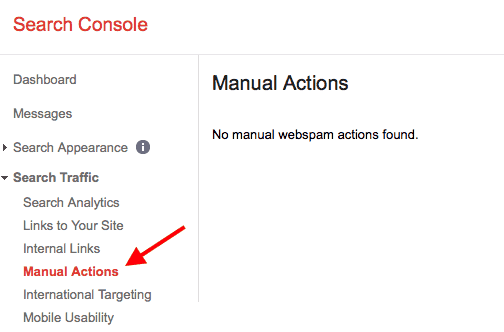 Usually the webmaster can see the reasons that led to a penalty by viewing the ‘Manual Actions’ report of Google search console. To get back to the Google index the webmaster must submit a ‘reconsideration request’, which is manually reviewed by the search quality team. A successful reconsideration request does not mean that the website will return to the pre-penalty rankings. 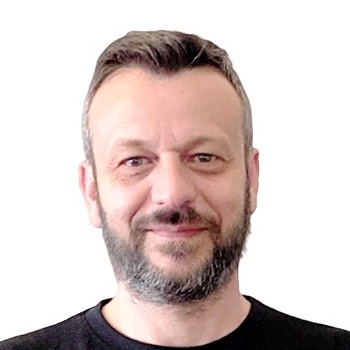 An algorithmic penalty occurs automatically and is a result of bad practices and violations that are checked automatically by the Google algorithm. To recover from an algorithmic penalty, you have to make the necessary changes and wait for an algorithmic refresh. Google penalties have animal names like Panda, Penguin, Hummingbird and you can read all about them here and here. How do you get quality links for your website? So, good links are important for a website’s SEO success, but how do you get these links without taking any risks? Don’t go after links that are too easy to get. Hard to get links are usually more valuable. Only purse links from websites that are better than yours both in terms of traffic, quality of content and reputation. Don’t believe anything you read about ‘private networks’ or other schemes that exist for the sole purpose of giving links to any type of website. Use guest posting wisely, don’t spend your energy and time on guest posts that nobody will read. Use social media to get your content noticed. Social media shares / likes etc. are not considered as a direct ranking factor but you can use the exposure you can get from social networks to position your content in front of the people that are more likely to interact with it (comment, share etc.) and link to it. Don’t be afraid to link out to other valuable and high quality websites. How is linking out related with getting more links? Webmasters tend to check their statistics, referral traffic and links on a regular basis and if they notice traffic or a link from a website they will check it out and they may return a favor. To those of you that think that this is ‘link exchange’, it’s not. First of all, the other webmasters are not obliged in anyway to return the favor and second this is a method proposed by Google in one of their ‘Audience Engagement Guides’. Also, another more direct way to make sure that webmaster you’ve linked out to, will notice your content is to email them and mention to them that you like their work and added a link in your articles. You don’t have to ask for anything in return but it is certain that a percentage of them will appreciate this action and link back to you. Whether you do SEO on your own or hire an agency to do it for you, it is important to understand that SEO will not generate the expected results overnight. As I explained in a previous article, SEO takes time to work because any changes you do to your website will have to be evaluated by Google and then taken into account. So, any fixes that you do today to make your website SEO friendly, it may take months until these are properly ‘read’ by Google (and other search engines) and used to improve your ranking positions. The same is true with link building. When a new link is detected by the Google crawlers, it has to be passed through an evaluation process before it is awarded as a positive ranking signal. Nobody can give you an exact number of how long it will take to increase your traffic after you do SEO work on your website but as a general rule of thumb, it may take 3 to 6 months to see the merits of your work. Thus it is very important to be patient and not lose your focus. Keep working on improving your SEO, content and user experience and sooner or later you will be award for your hard work. People that are not patient enough tend to get disappointed and quit before they see any results but those people that work consistently for a long period of time, are those that succeed at the end. To manage SEO correctly you need to use tools. There is a lot of data to analyze and a lot of metrics to monitor which makes it impossible to do everything manually, so you need some sort of automation through software tools. There are hundreds of free and paid tools in the market and because of my job role, I have tested many of them. I don’t like having to login to a lot of different tools to do my work so after evaluating a number of them, I decided to enroll to tools that can give me diverse functionality at a reasonable monthly price. SEM Rush: This is my favorite SEM (search engine marketing tool). I use it on a daily basis for both my SEO and PPC needs. It’s a great and easy to use tool with a number of functions but the nice thing about SEM Rush is that it is continuously updated with new features so you don’t have to look for other choices. SerpBook: I use serpbook to track the ranking position for my websites (and many client’s websites). It has good reporting and white label functions to help agencies create nice ranking reports for their clients. LongTail Pro: Keyword research is a critical step in all SEO projects. Long tail pro makes it easier and faster to discover and build up your keyword lists. ManageFlitter: If you want a tool to manage your twitter account (s) and grow your followers organically, then this is one of the best tools in the market. (Read this case study I wrote a while back). SEO and Digital Marketing in general are disciplines that change all the time. 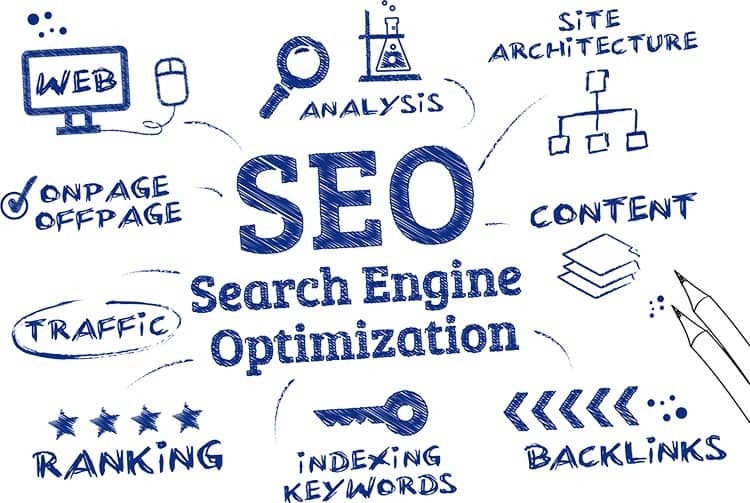 Every week there are new changes to algorithms and practices that directly or indirectly affect SEO but the basic ingredients of SEO are the same for the last 15 years. If I had to summarize these in one sentence, I would say that SEO is about making your users’ happy and satisfying their ‘intent’ through high quality content and easy to use websites. What I tried to include in this comprehensive SEO tutorial, is pointers to the most important aspects of SEO so that you get the full picture of what you have to do to get better rankings in Google. As I mentioned in the introduction, it’s a lot of work and it’s not a once off task. When you decide to enter the World of SEO you should have in mind that you are entering a competition with hundreds of people that have the same goals as you. Your competitors are trying to make their content and websites better aiming to rank higher and if you are to win this race, you have to do a better job than them, in all aspects. Those that have the courage to do this, are able to get enough search engine traffic to run their businesses online without the need for advertising or worrying how to get new customers. Those that look of shortcuts and don’t have the patience or willpower to do all the work, they give up and quit. Finally, if you are stacked and don’t know what you are doing wrong or what your next step should be, consider our SEO Audit Service and get all the answers you need by removing the uncertainty and guessing. Hope you enjoyed reading this tutorial and hopefully you now have a better idea on how to optimize your websites for SEO. If you have any questions let me know in the comments below and I will do my best to answer them. Thanks for complete SEO guide I always think or feel that I am missing any element of SEO on my blog. That was true I was not taking time on selecting good keywords and meta descriptions. Thanks for your comment. Glad that you found the SEO tutorial useful. Great guide, Alex! However, did you ever finish that article about AMP? I would love to know more about the WordPress plugins for fast AMP HMTL and speedy loadtime (read: better user experience)! Regards from a danish reader. It’s almost ready. We did many AMP implementations the last couple of months and I will share all my experiences in a new guide really soon. Great stuff! As a new starter to search engine optimization, the blog which contains information about this helped me a lot. Thanks for your comment. Be patient, follow solid SEO advice and the results will come. Thank you, Alex for the great post on basics of SEO for beginners. I would highly recommend your post to anyone who wants to learn SEO. Very true that it is possible to learn how to implement SEO strategies on your own. Some community colleges and high schools are now offering courses for adults who wish to improve their SEO skills. That’s good to hear. SEO is no longer a simple task of creating keyword stuffed content but it’s a lot more than that. Gradually more and more courses will come to the surface and eventually why not a dedicated degree, in addition to the Digital Marketing courses that are already available. I agree with you; the content must be high quality and not just jammed with keywords while not making any sense. In fact, my son starts high school next year and I just attended an open house to learn about the courses offered. They’re now teaching marketing which includes a beginning SEO class! That’s great, it’s good to hear that SEO is part of marketing courses. You can also consider my SEO Guide: https://www.reliablesoft.net/ebook/wordpress-seo-guide/, which is perfect for beginners to SEO. Thanks, and I will definitely take a look at it! Thanks Alex for this wonderful post on SEO. Do you mean getting a tech blog backlink to a fashion blog has no single influence on SEO? Or it even hurt the blog? Does it make sense for a tech blog to link to fashion blog? Maybe not that much but still if the tech blog is legitimate and trusted by Google, the link will have some value but it’s not the same as getting a link from a lifestyle or other blog that is more related to fashion. Again a Nice Article Sir, very helpful SEO steps. There are lots of SEO guide are available on the internet, but I found this website most useful with free of cost. Big thanks, sir. Thanks a lot Praan, all the best with your SEO efforts. Thanks for sharing some informative tips and knowledge about SEO. Thanks for the info on schema markup. This is one thing we are currently working to implement for our clients as well. Yes, schema markup is becoming more and more important these days and it’s a must do item for better SEO. Great Alex its was really too good. really a such great article for seo beginners. it’s really helpful. This article is very good, I really don’t understand SEO, but after seeing this I am a little bit more understanding. That was a fantastic guide for the beginners. I want to ask you “How to know that a website or domain is penalized by Google?” Are there any tools for it?